It’s Sunday morning, and I got to sleep in until nearly 10 a.m. Can’t remember the last time that happened — probably over Christmas break? But I needed it. Yesterday was a long day. Wonderful, and so much fun, but long! The Lone Star Circus School’s Cha Cha Cha show is going on all weekend, and I was at the theater from before noon until after 10 p.m. last night. 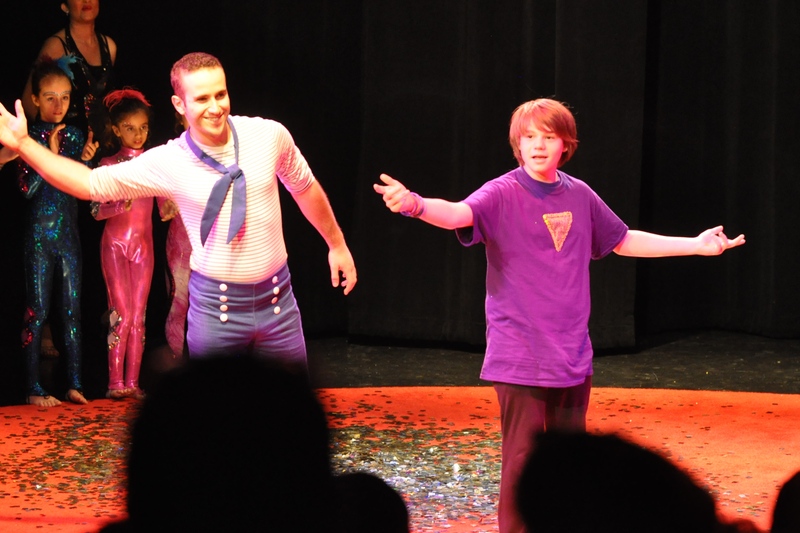 Good thing the people at Lone Star Circus are so fabulous — they are amazing people, and I love being part of the action! 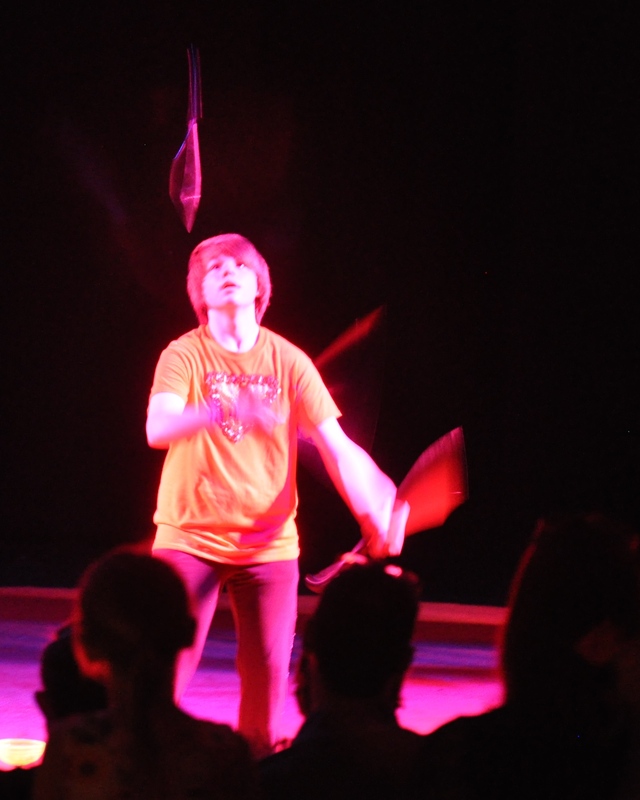 The end-of-year show features performers from the Dallas International School, which has a circus program at the school, and kids from the Lone Star Circus School in Addison, Texas, as well as adult performers from the Lone Star Circus. It’s an amazing chance for kids as young as 3 or 4 to show what they’ve learned. I’ve been doing the show since I was 7, and it’s still as much fun now as it was then. Here’s a video of my solo from the evening show. And here are a few random photos from the two shows — there are still a lot of images to go through, but I have to be at the theater in just a couple of hours, so I need to get ready for that. I’ll go through the rest of the pictures and post some then. 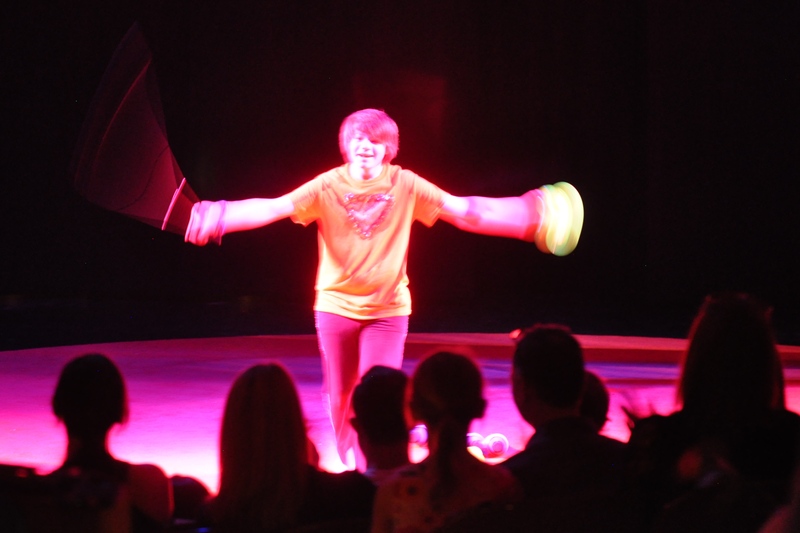 I will be very tired tonight — but tomorrow, I’ll wish it was circus week again! 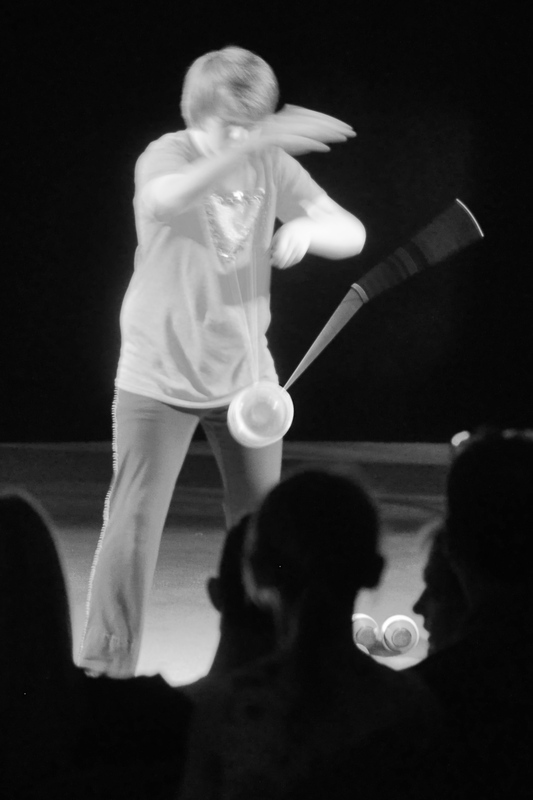 This black & white photo of me juggling four balls shows what the stage would look light without all the lights. My grandma took it with a very long telephoto lens from the very back of the theater at the Granville Arts Center. 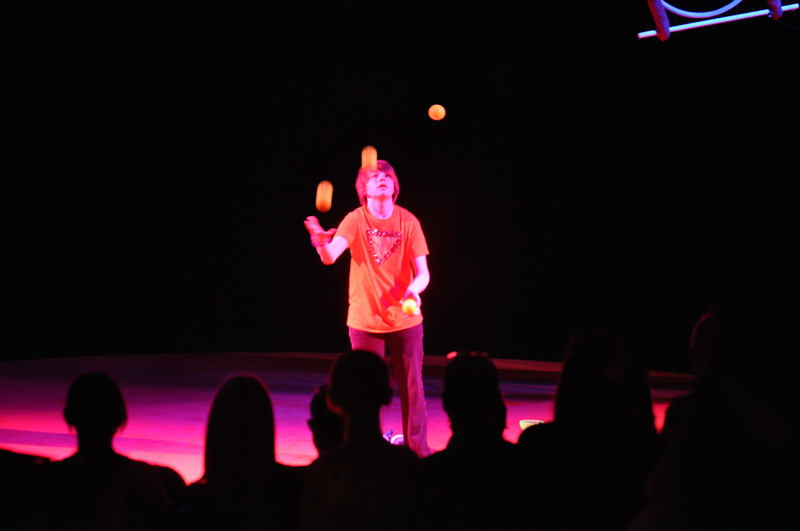 This is me juggling knives during the evening show last night. I love the way the knives look when they’re spinning towards you! They are 28″ long, and I managed to cut myself a bit during the Saturday afternoon show. My grandmother keeps apologizing for the way I look in this photo, but I like it. 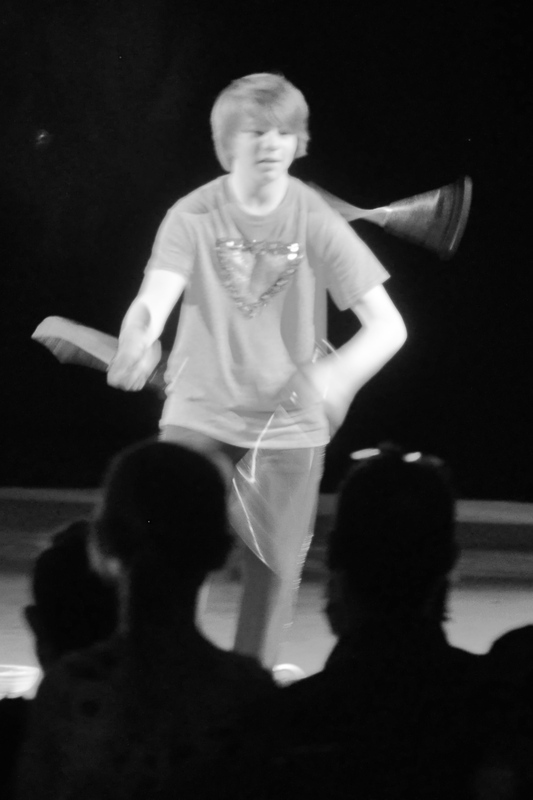 This diabolo trick is called the suicide — you let go of one of the handles, and let it spin around with the diabolo. If you don’t catch it just right, it will tangle and really make a mess. The more spins you can let it make, the better. This time, it went around four times before I caught it — pretty good! These color pictures show what the stage looks like with the stage lighting on. 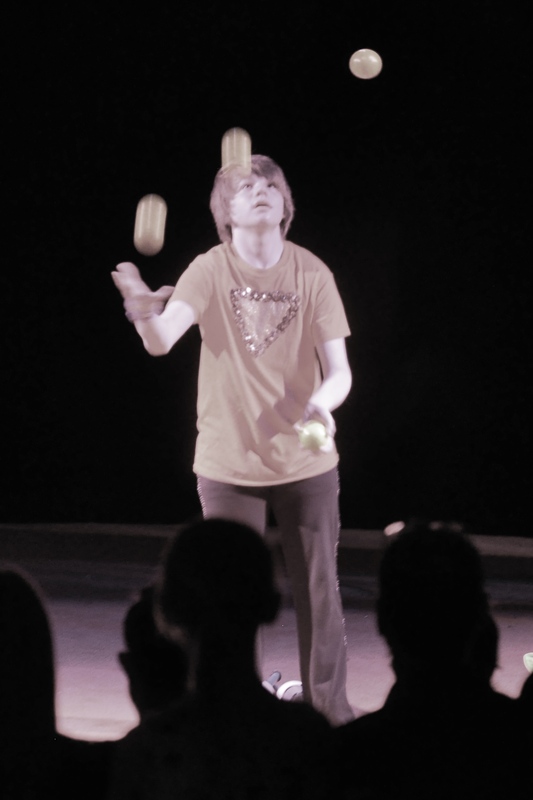 From the top, I’m juggling knives, ending the diabolo part of my routine with a “style and smile” pose, juggling four balls, and juggling clubs. 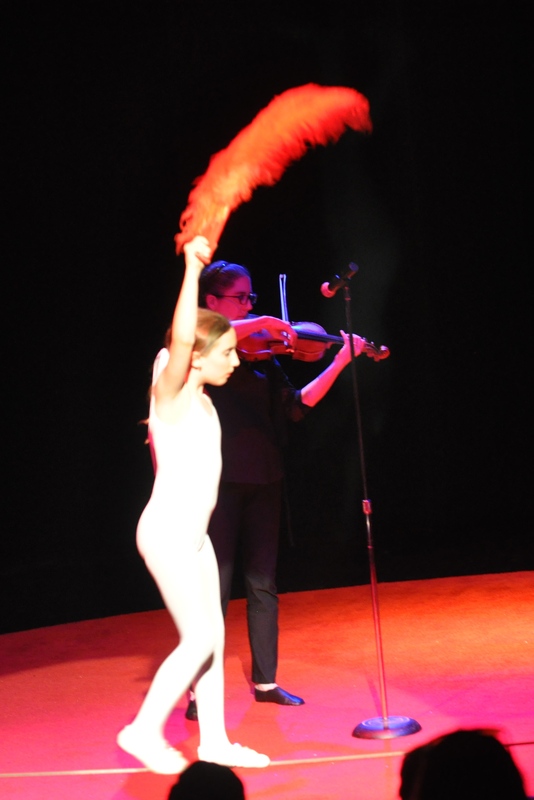 My music is Lindsay Stirling’s Antigravity — I’ve used the music before, but the routine is brand new for this show. This is my friend Grace Ferrely and her mom, Katie. 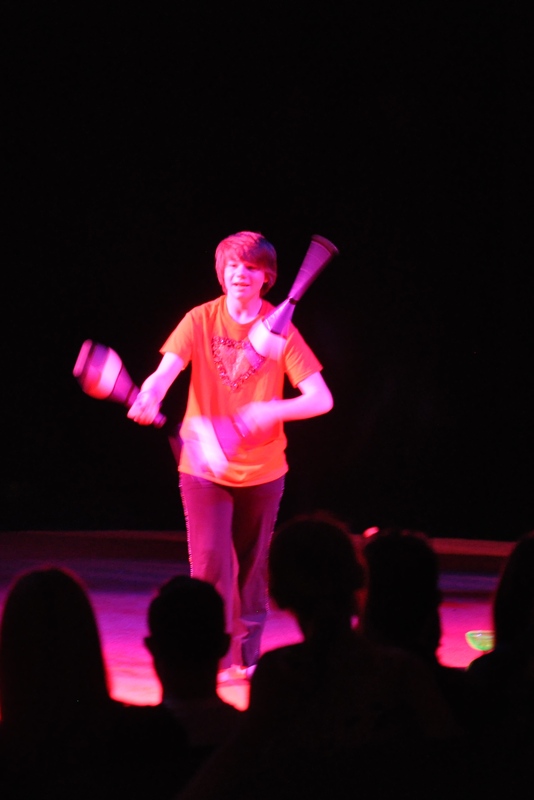 Grace used to be my juggling partner, but this year she’s a soloist on the tight wire. She was great! Here are a couple of photos from the finale of the Saturday night show. (I can tell, because I’m wearing a purple shirt. I wore a red one in the afternoon show.) I love the finales where everyone comes out to take one last bow. 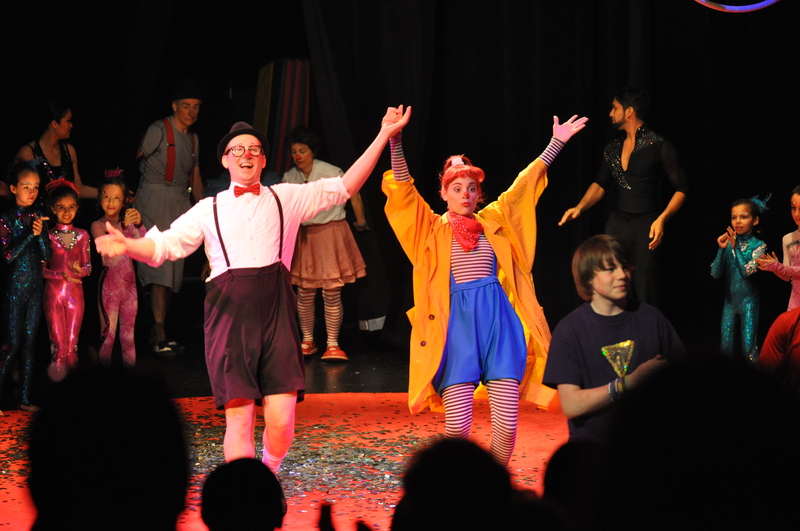 It’s fun to be onstage with the whole cast — especially the very little kids who are performing for the first time. They are so proud of themselves! It seems so long ago since I was taking my first bow on this stage. But 7 years is a long time!